On Saturday night we celebrated Nick's 28th birthday at the Red Fez in Providence. It was a lovely evening - the highlight was seeing all the friends we don't see often enough. One such friend, Maryellen, brought our belated wedding gift - what a pleasant surprise! I was really hoping to open a gift on Nick's birthday but wasn't sure how I was going to pull it off! Part of her thoughtful gift was the famous, The Silver Spoon, cookbook - all 1300 pages of it! After a flip through Sunday afternoon I found myself stuck on the soup chapter, for some reason every soup was jumping off the page. 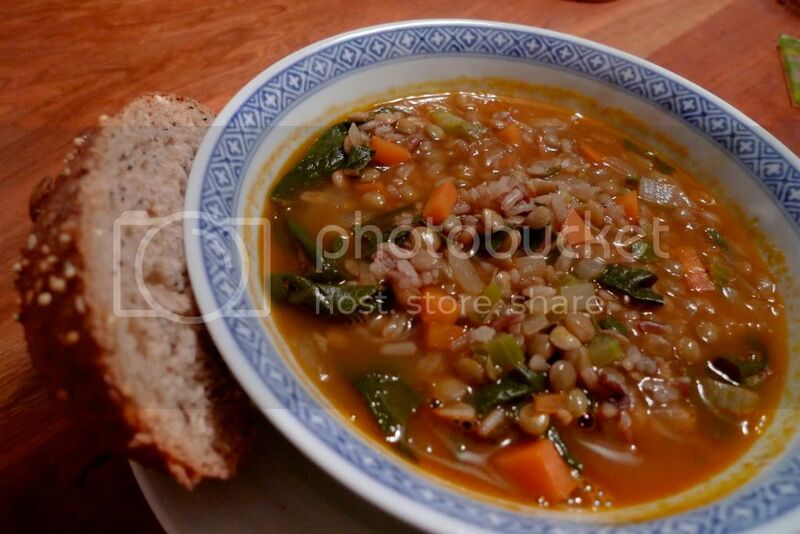 I decided to adapt the Swiss Chard & Lentil Soup to our tastes - it was DELICIOUS! -Heat oil in a large soup pot over med/high, add the onion, garlic, celery and carrot, stirring occasionally for 10 minutes until lightly browned. 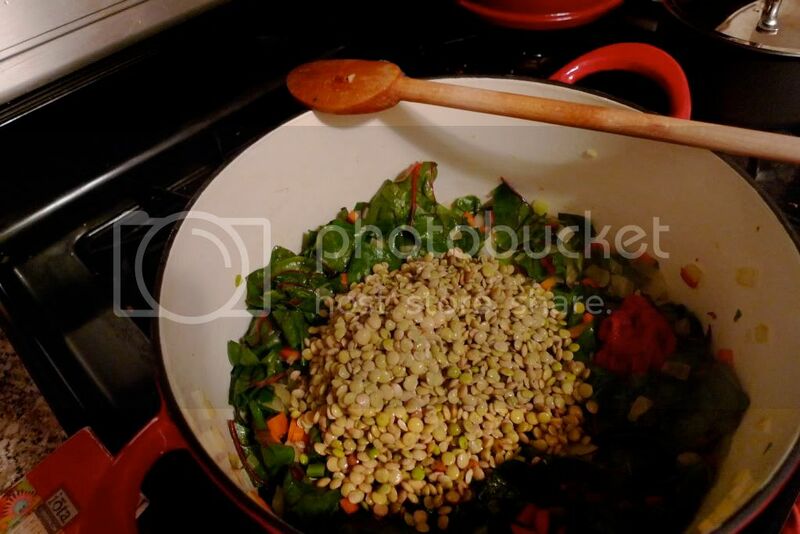 -Stir in the Swiss chard and cook for 2-3 minutes, then add the lentils and tomato paste and stir well. -Pour in the stock, bring to a boil and add the rice. -Season with salt & pepper, turn down and simmer for 15 minutes. 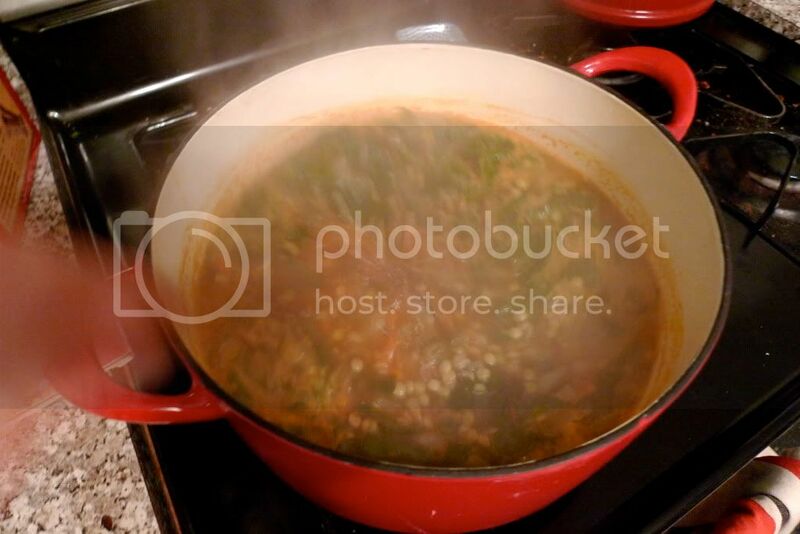 -Ladle into a soup bowl, drizzle with olive oil and serve with Parmesan. That DOES sound delicious, sister! I love soup in this weather. I bought a big tub of Miso yesterday to experiment with. I wonder what it would be like to use miso to make broths for soups that call for veggie stock...? Hi Anna! I've used miso in place of veggie stocks in soup and it is fantastic. You just need to remember one thing, cook with water and add the miso to taste at the end of cooking. This soup looks great. Just the kind of simple, healthy, comfort food that I love. Another home run in our house. Thanks, Lemons! 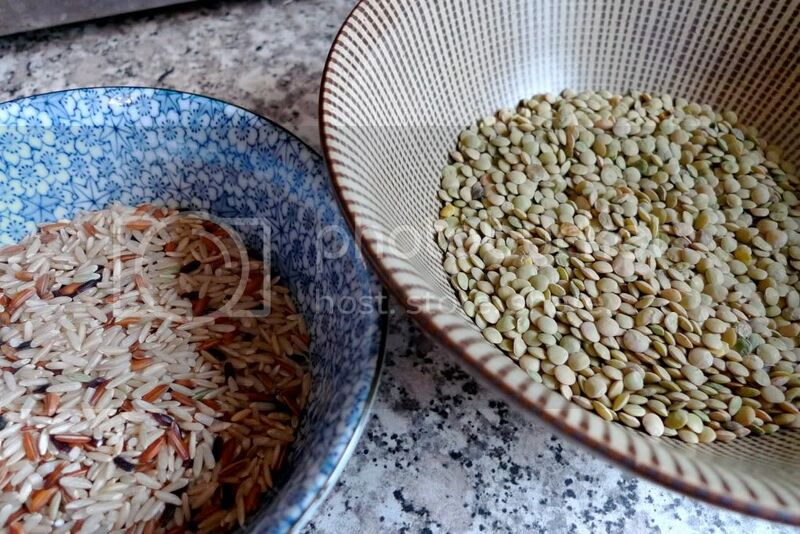 Your beautiful photography always makes me hungry, I love lentils! Also, I am flattered to be mentioned in your blog. Keep the food coming! Wow, just came upon this two & a half years later! Im going to try making this tonight with quinoa instead of rice! Super excited to try! Jay how did it come out!? Sounds delicious!